DALLAS, TX--(Marketwired - Feb 18, 2016) - Lincoln Property Company, the nation's second largest multifamily manager, is pleased to announce the hire of Steve Saylors, Lincoln's new Regional Vice President - West. Saylors is responsible for property management and business development in California, bringing extensive experience in real estate sales and all aspects of property management. Scott Wilder, Lincoln Property Company's Executive Vice President - Residential Management, stated "We're excited to have Steve on our regional leadership team and benefit from his unique skillset. 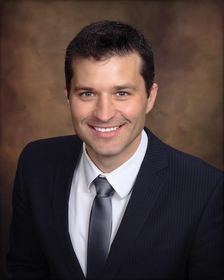 His experience in the area and in multifamily is a strategic addition to Lincoln's dynamic team of industry experts." In 2001, Lincoln joined forces with the U.S. Department of Defense to renovate and redevelop family housing at selected bases for the Navy, the Marine Corps, and the Army. Through innovative management, property rehabilitation and award-winning new construction designs, Lincoln is now one of the largest operators of military housing in the country. Lincoln continued its growth in 2013 with the acquisition of Grand Campus Living, increasing the depth of knowledge in the rental housing sector for the firm.